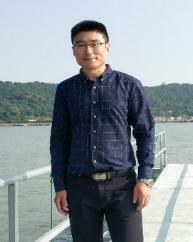 Dr. Bin QU is engaged in the researches about the carbon compositions and greenhouse gases (GHGs) emissions from the aquatic system (e.g. rivers and lakes), and the transport mechanisms of carbon in terrestrial ecosystem in the background of climate change. 2013.09 - 2017.08: PhD degree of Environmental Science, Laboratory of Green Chemistry, Lappeenranta University of Technology. 2010.09 - 2013.07: Master degree of Ghysical Geography, University of Chinese Academy of Sciences & Institute of Tibetan Plateau Research, CAS. 2006.09 - 2010.07: Bachelor degree of Geography Science, Shandong Normal University. 2017.10 - present: Specially-Appointed College Professor, Nanjing University of Information Science and Technology. 2015.10 - 2016.12: Visitor Scholar, Yale University. Qu, B., Sillanpää, M., Kang, S.C., Yan, F. P., Li, Z.G., Zhang H.B., & Li, C. L. (2017). Export of dissolved carbonaceous and nitrogenous substances in rivers of the “Water Tower of Asia”. Journal of Environmental Sciences, doi: 10.1016/j.jes.2017.04.001. Qu, B., Sillanpää, M., Li, C. L., Kang, S.C., Yan, F. P., Aho, S. K., & Raymond, P. A. (2017). Greenhouse gases emissions in rivers of the Tibetan Plateau. Scientific Reports 7, 16573. doi:10.1038/s41598-017-16552-6.